This felt board set has 9 everyday people from your neighborhood! 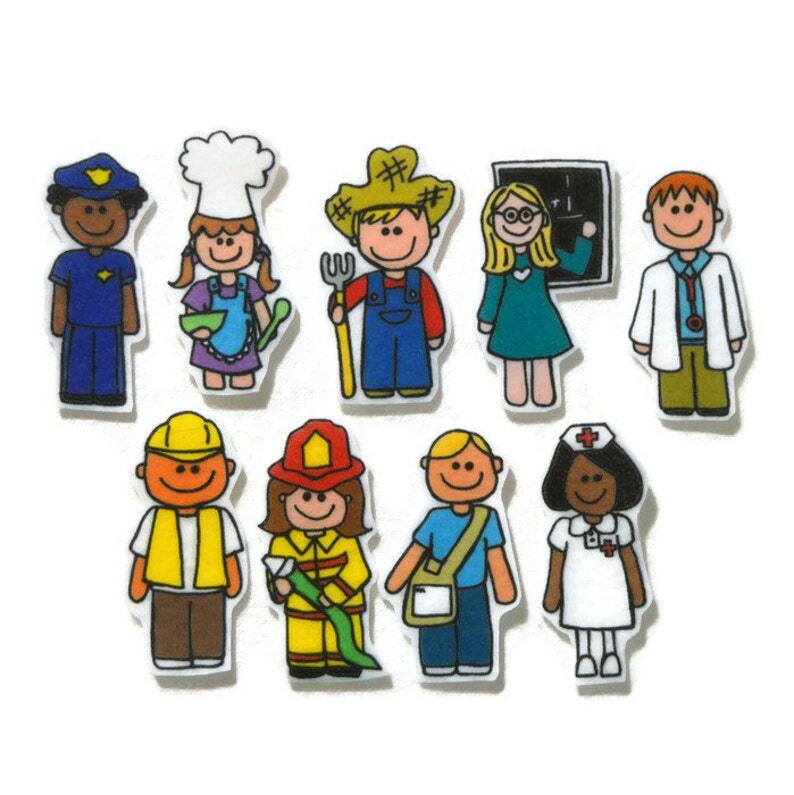 It includes a mailman, doctor, construction worker, policeman, farmer, baker, fire woman, teacher, and nurse. The pieces are about 2.5 inches tall. They were hand drawn and iron on transferred to felt.